There’s a great novel that starts with “My name is Virginia, and I live at the edge of the forest.” It’s a modern day fairy tale but instead of being in the woods far from civilization, Virginia lives in an apartment right on the border to Central Park. And that’s the line that jumps into my head every time I head into the park for a quick run. It’s a Manhattan landmark, the piece of land that makes the city even more famous. It’s the place where you can ice skate, take a horse-drawn carriage ride, escape into Wonderland, or watch a cartoonist sketch a couple in the main mall. It’s admittedly crowded and while it’s not impossible to get a solid run in on even the busiest of weekends, you definitely have to keep your head up to avoid other runners, walkers, strollers, dogs, cyclists, horses and a million other things that may end up directly in front of you as you navigate the park. The roads are divided with pedestrian lanes, and the park itself is big enough that once you get past the first section, it calms down quite a bit. Still, the busyness is part of the charm, as is the landscape of trees with the cityscape skyline peering out behind them. Have intervals to do? 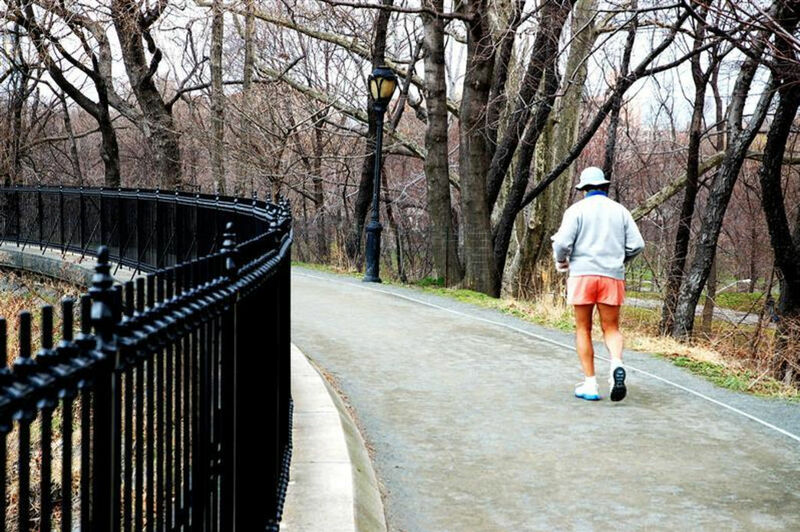 Head over to the Jacqueline Kennedy Onassis Reservoir and take advantage of the 1.5-mile soft surface track that runs around it. You’ll get some amazing city views while you huff and puff and try to PR. For the road runner, there’s plenty of that, though the best idea is to avoid when the park is open to traffic, so plan your road runs on weekdays from 10 AM to 3 PM or 7 PM to 10 PM, or anytime from 7 PM on Friday until 6 AM on Monday when the park reopens to drivers. 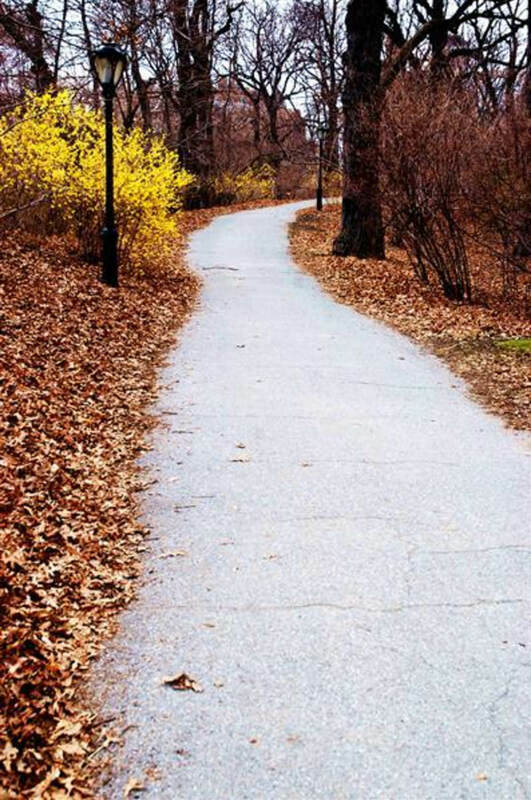 The Outer Drive Loop offers you a solid six miles of running, so if you have a 10K you’re prepping for, this is the spot to train—plus, there’s no end to “rabbits” up ahead of you to try to chase down. 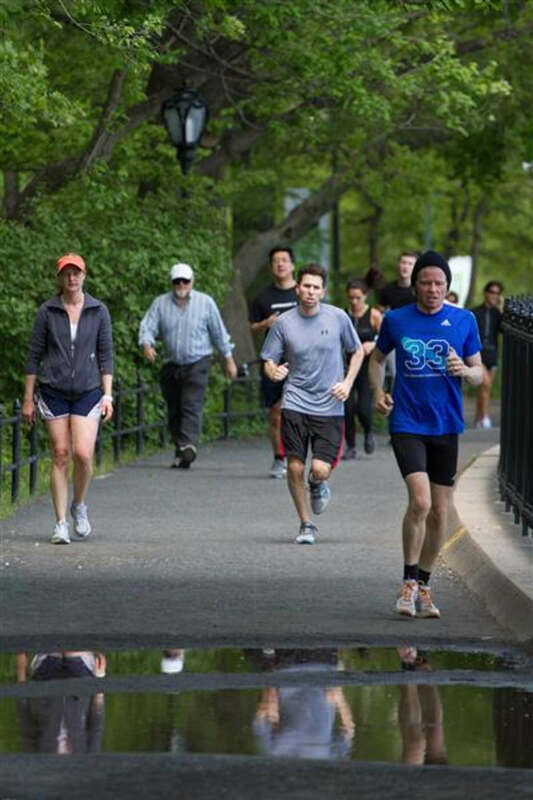 Done with your run but want to enjoy the park? Tavern on the Green is the best spot to stop for a post-race snack or drink, and it’s a classic for a reason—but definitely not the cheapest option around, and seriously crowded on weekends! If that’s too crowded for you, go classic and grab a hot dog from one of the many vendors around—there’s usually a great sausage and hot dog spot set up right by the ice skating rink (which in the summer doubles as a small amusement park). 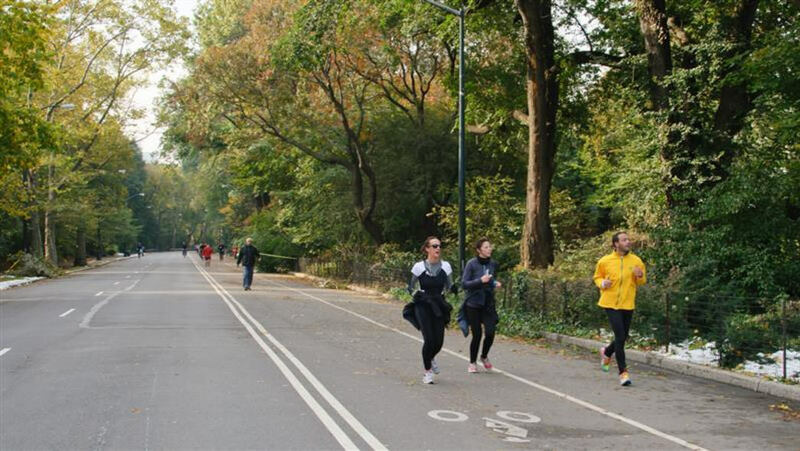 If you’re a runner and you’re in New York City, it’s practically a necessity that you head to Central Park for at least one run. Trail runners won’t find a whole lot of wilderness and ungroomed trails, but there are three bridle paths that, when looped together, offer five miles of off-road running. The park is easily accessible, and the entrance by Columbus Circle is easy to access via subway or bus. 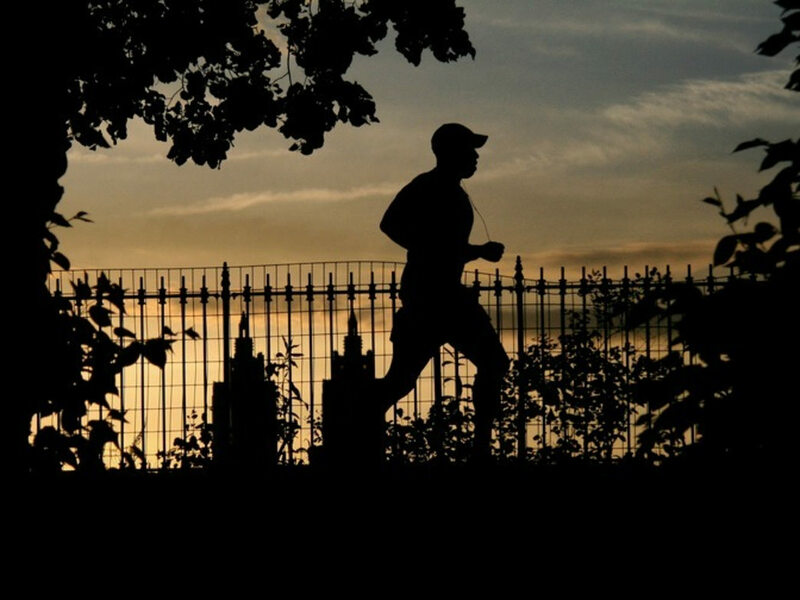 The other handy part is the number of bathrooms (most of which are open year round) and water fountains sprinkled throughout the park—great for runners who hate traveling with water, or have frequent pit stop urges.